This required course includes study of nutrition, disease control and prevention, mental health, alcohol, narcotics, tobacco, drug education, human sexuality, personality development, world health, first aid and safety. Semester course – ½ credit. All students are required to take Physical Education every semester. The aim of the department is to develop the students’ appreciation for physical fitness and to encourage active involvement in the continuing maintenance of one’s body and spirit. The fundamentals of movement, games and rules are stressed to ensure that students will be participants, as well as informed and interested spectators. The program is divided into seasonal units. In the fall, some of the activities in which students participate are soccer, flag football, speedball, and field hockey. Spring sports include softball, track, and tennis. Students who participate in extracurricular athletics may be excused from physical education classes with permission from the Athletic Director and the Associate Head of School. Full year course – ½ credit. Working with the School’s Advancement Office, students gather and publish school news in various formats for internal and external audiences. Full year course – ½ credit. In this course, students work on study skills, including note-taking, learning-style-based study strategies, and effective organizational habits. As they strengthen these skills, they also strengthen their writing through writing on demand and crafting compelling papers and speeches. Throughout the course, students also learn how to construct successful oral presentations, as well as mastering public and persuasive speaking skills. 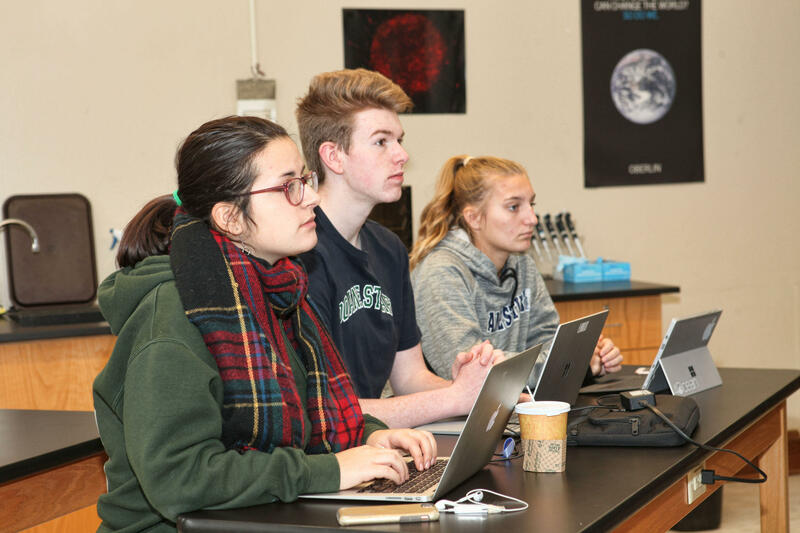 Finally, students develop a strong knowledge of computer skills necessary for their core classes, such as formatting word documents, creating PowerPoint presentations, and researching topics across the disciplines. These skills are integrated with the content students learn in their core classes, and focus on improving the quality of students’ work. Required of freshmen and new students. Full year course – ½ credit. A wide variety of courses in all disciplines is offered online through Coursera, edX and Udacity. Interested and motivated students may pursue an online course with the support of a faculty advisor and permission of the Associate Head of School. Credit will vary.